Nigeria produces an estimated 1.8 million metric tons of tomato each year. The country is the, 14th largest producer in the world (accounting for 10.79 per cent of Africa's production and 1.2 per cent of total world production). It is estimated that Nigeria loses more than 45% of tomatoes produced each year due to its perishable nature and weak supply chain. A key element of this supply chain is cold storage. Unfortunately temperature controlled storage for tomatoes, benefitting smallholder farmers and retailers was not existent in Nigeria until the advent of ColdHubs. Our solar powered cold rooms, eliminates all cooling induced tomato spoilage completely and extends the shelf life of this perishable from 2 days to more than 21 days. This is because ColdHubs was designed for installation in farm coops and markets. In the farm, the ColdHubs provides quick, on-farm cooling and storage, immediately tomatoes are picked. 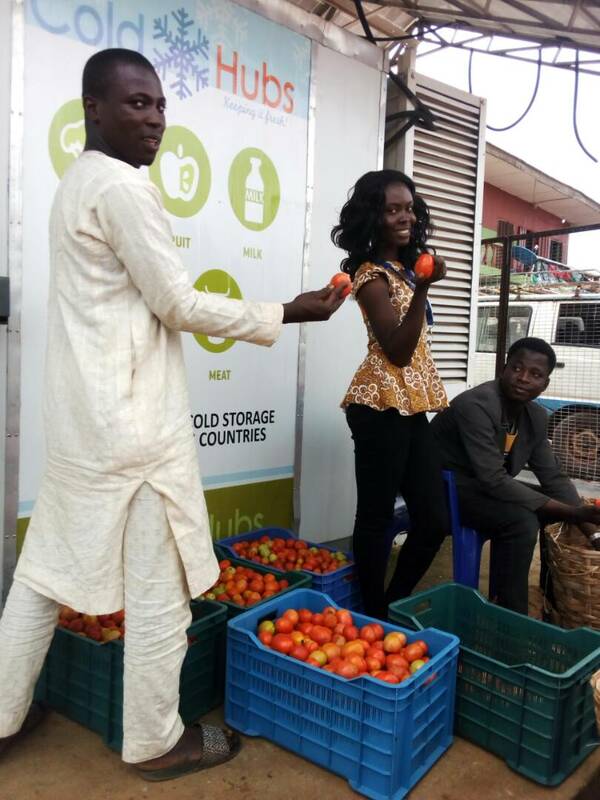 In outdoor markets, the hub provides continuous power supply, cooling and storage for un-sold and evening left-over tomatoes for more than 21 days. Thus in the farm and in the market the hub acts as a warehouse, providing farmers, retailers and wholesalers an incredible opportunity to store their products for a long period of time, haggle on prices and sell later when prices increase.